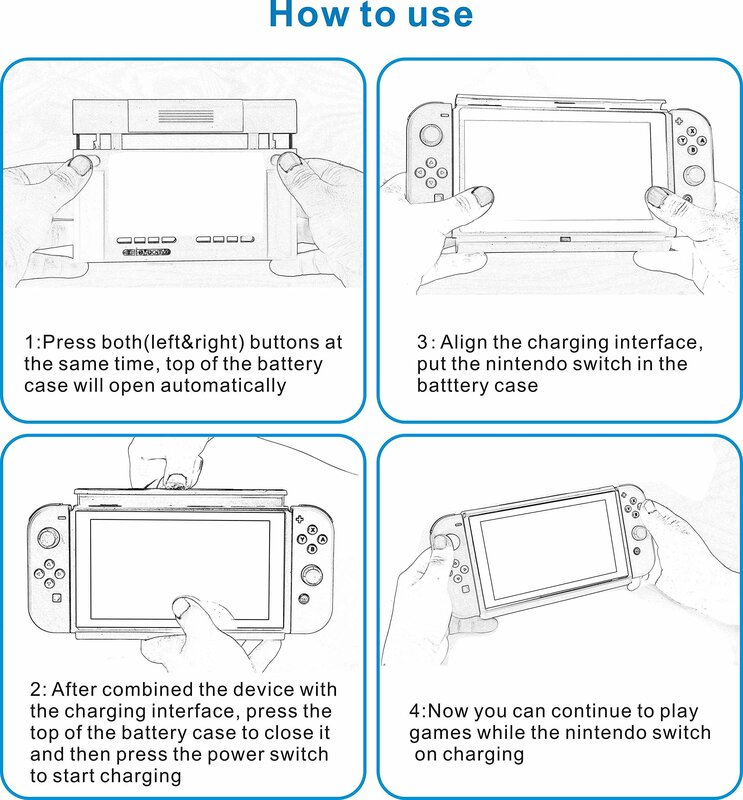 Tired of limited battery life in playing time? 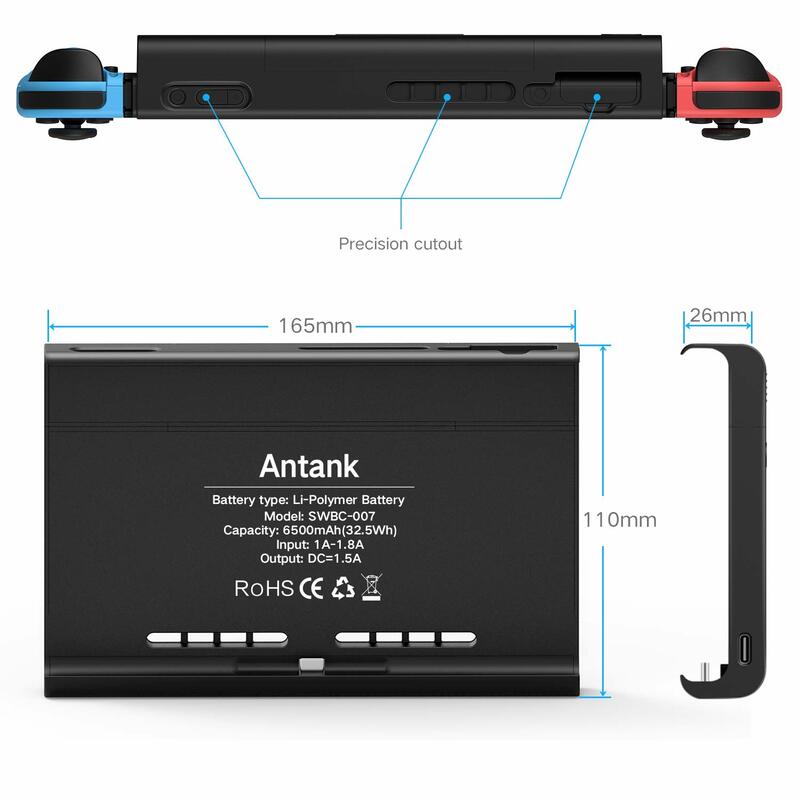 Antank battery pack built-in 6500mAh Li-polymer rechargeable battery which can provide 100%+ extra battery life to your Nintendo Switch. Featuring with precision cutouts that won't cover any buttons or speakers. 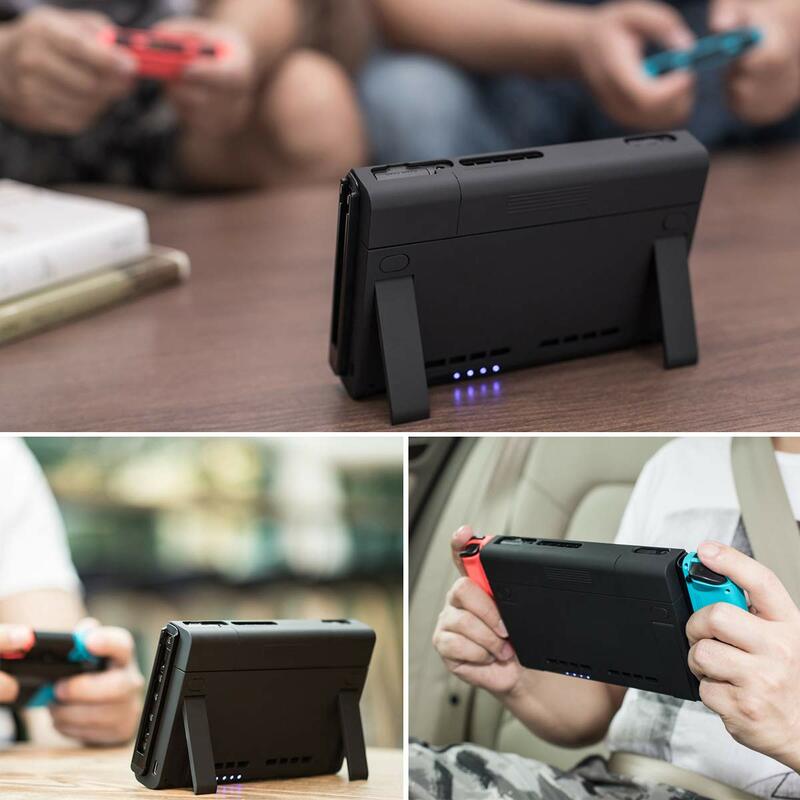 Charge the battery case at night , enjoy a ultralong game time on next day! 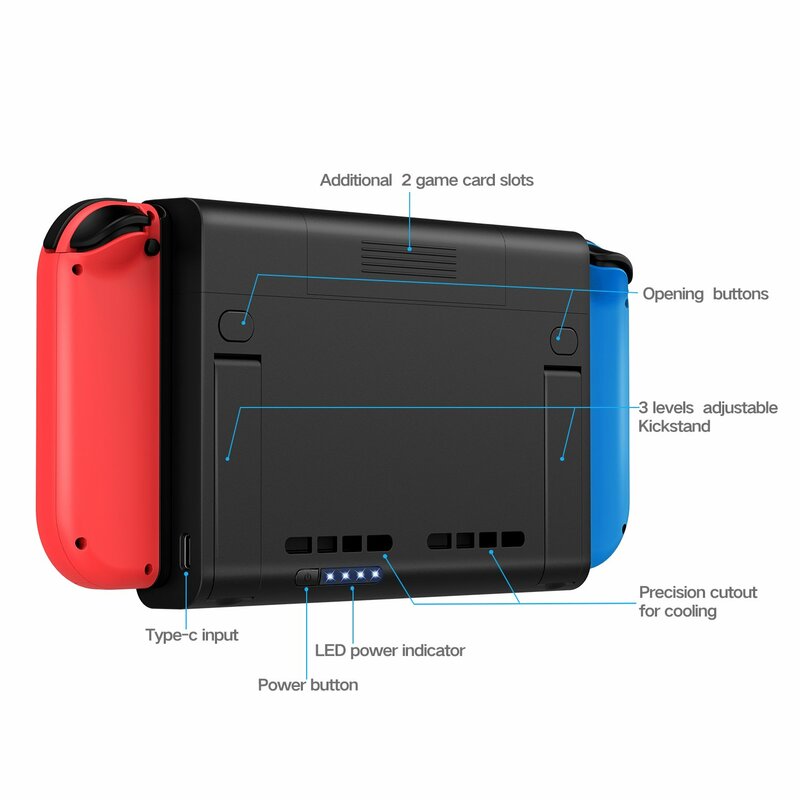 Two additional game card slots and three levels adjustable kickstand. 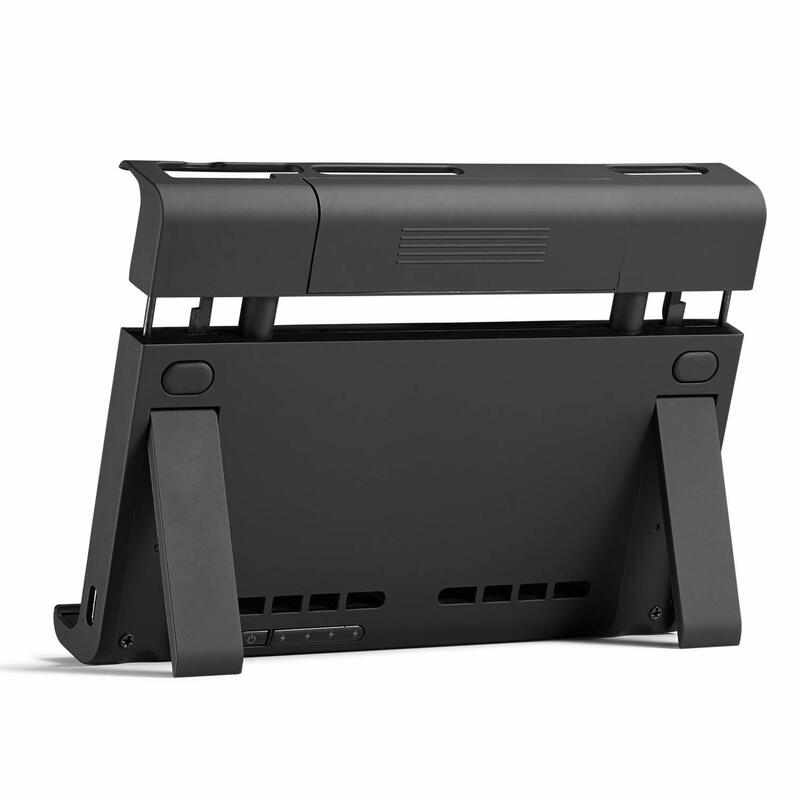 It has 3-level adjustable kickstands that allows you to choose nearly any viewing angle for viewing experience during your gaming. 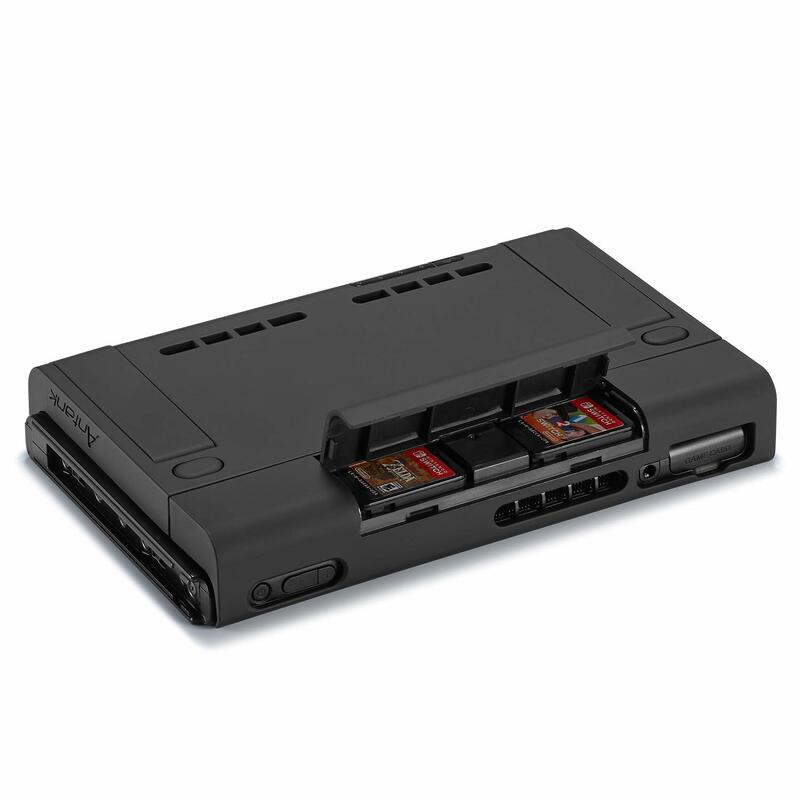 Conveniently store 2 game cards due to the added 2 extra game card slots. 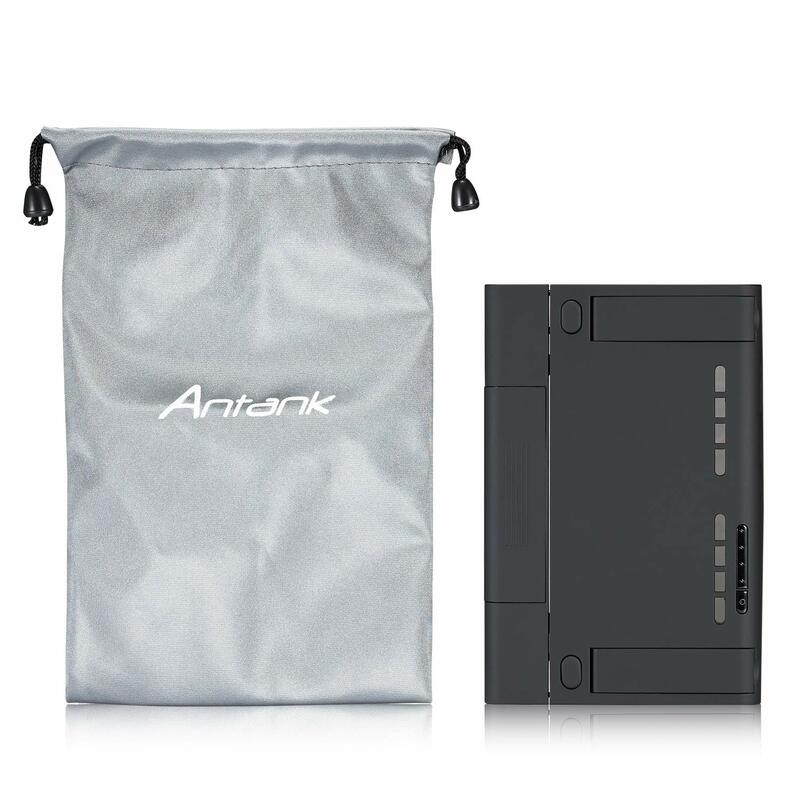 Built-in 5 layers advanced safety protection to keep you and your device safe, Short circuit\Over-voltage\Over temperature protection, Anti-reverse input protection & Over-current protection. 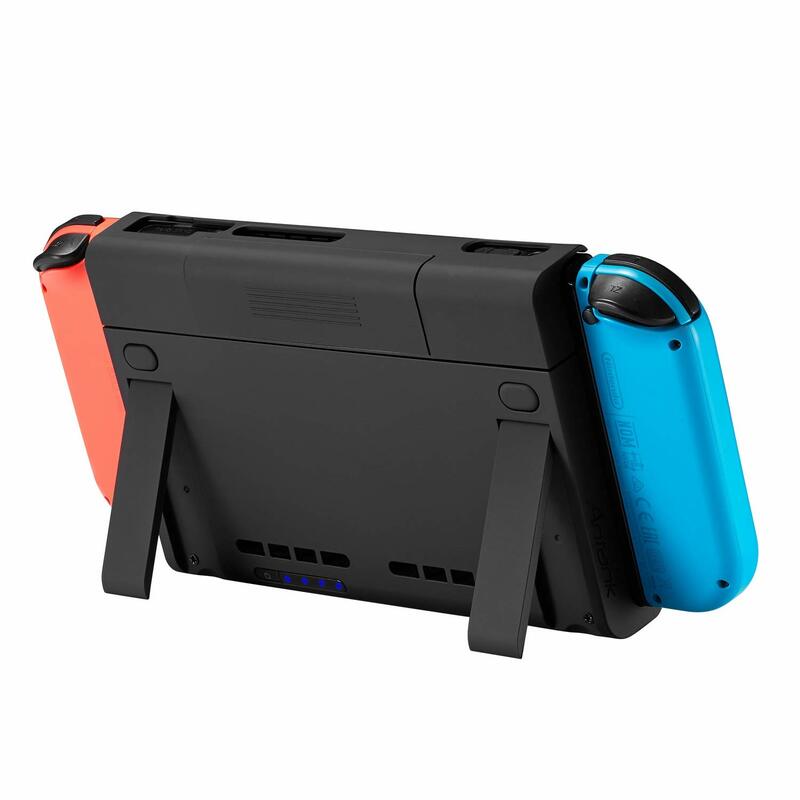 What's more, this Switch backup battery could protect your Nintendo Switch from dropping or scratching. 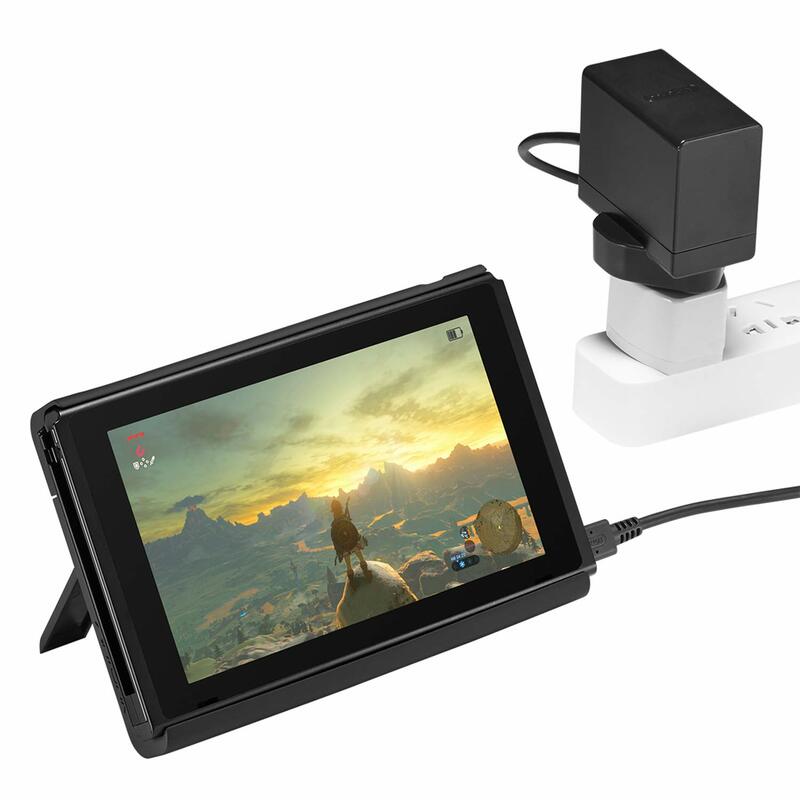 Concentrate on your gaming while charging time.